FAQ - Frequently Asked Questions What is the difference between Taylor Pork Roll and Trenton Pork Roll varieties? The Taylor variety has a tangy smoked flavor where the Trenton variety is milder tasting. Although Taylor Pork Roll is available in large and small rolls and thick and thin slices, Trenton Pork Roll is only available in 6 pound rolls. Can you freeze Pork Roll? Yes, Pork Roll as well as our other meat products may be frozen for 1-2 months without change to quality. Frozen meats will remain safe indefinitely but may change in taste and quality if kept longer. It is recommended that Pork Roll be frozen in its original packaging or wrapped sufficiently to prevent freezer burn. Does Pork Roll Expire? Yes. The expiration date is printed on the outer wrapping of the rolls and on the back of the boxes of slices. Who is the manufacturer? Taylor Provisions, located in Trenton, NJ is the manufacturer of both Taylor and Trenton Pork Roll. Is Taylor Pork Roll Gluten free? The manufacturer states that they do not add gluten to the production of their products, however they can not guarantee the animals did not consume feed containing gluten. Can I ship Pork Roll out of the country? Federal law prohibits the shipment of perishable items internationally. Can I ship to Alaska & Hawaii? Yes, we can ship to Alaska, Hawaii, PO BOXES, APO and FPO addresses. Can Pork Roll be shipped in the summer? 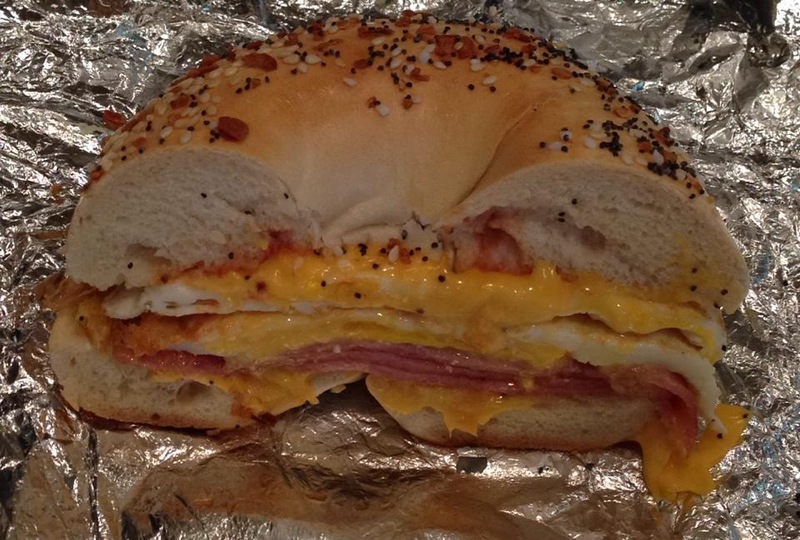 Pork Roll is a fully cooked, smoked and cured meat which can be shipped safely during most seasons. We prefer not to ship during excessive heat waves as it is impossible to keep the product chilled, unless shipping is done with an overnight service. How do I get a gift message included? Simply enter your message in the customer comments section while ordering and we will gladly include your free gift message. I am in the military. How do I get the coupon code for the military discount? Simply email or call and we will provide you with the coupon code for the military discount; available to active service members and veterans. How will I know when my package is scheduled to arrive? You will be sent the tracking information at the time of shipment. Please try to have someone available to receive the package and to unpack and refrigerate upon receipt. How can I locate local stores that sell Taylor or Trenton Pork roll? We are strictly an independent internet retailer of Taylor Provision products and therefore have no knowledge of product availability. How can I contact The Taylor Ham Man? The Taylor Ham Man can be emailed at [email protected] You can call The Taylor Ham Man at (973) 671-8426. Please leave a voice mail and someone will return your call as soon as possible! Do you offer Wholesale pricing? Yes! Call or email for pricing.